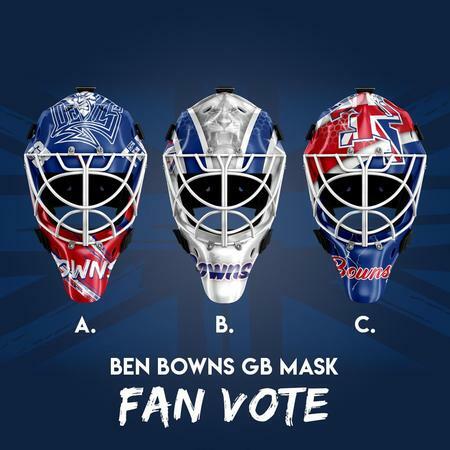 Team GB's Ben Bowns wants you to vote for the mask design he'll be wearing on his Victory V8 mask at the World Championships in Slovakia this May. The 3 designs by Alex Birch Designs can be voted on via our Facebook, Instagram & Twitter. Click on the links to head directly to the competition posts. If you vote for the winning design, you will be entered into a draw to win either £200 Puck Stop vouchers, or a Victory Sports V4 mask! The winner will get to choose which of the available prizes they would like. To be eligible for the prize draw, you must follow both Victory Sports and Puck Stop on the social platforms you have chosen to cast your vote.